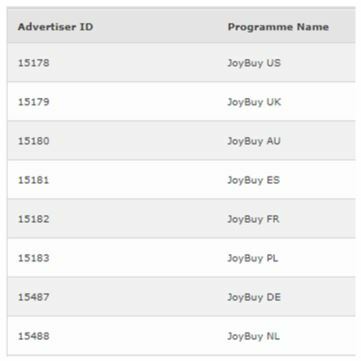 As a JOYBUY affiliate, you will earn up to 50% commission depending on the products sold through your referral. All types of affiliates are welcome! Join from the start and get 2% commission increase. Operated by Chinese e-commerce giant JD.com, Joybuy.com offers a wide selection of authentic, high-quality Chinese products at competitive prices and delivers them to customers' doors in a speedy and dependable manner. Serving customers worldwide, JOYBUY.COM carries tens of thousands style and quality products in popular categories like cell phones, electronics, and computer accessories. Here also offers competitive prices on the automotive item, home decor, fashion, sports gear, etc. Copyright © 2017 Awin, All rights reserved.